Amaravati, Apr 09: Campaigning has come to an end in Telugu states. The parliament elections in Andhra Pradesh and Telangana and assembly elections in Andhra will be held on April 11 and curtains fell on campaigning this evening. On the last day, Allu Arjun went all the way to Palakollu and Narsapuram to participate in roadshow supporting Jana Sena. He campaigned for Pawan Kalyan and as well as for Naga Babu who is contesting from Narsapuram Lok Sabha. 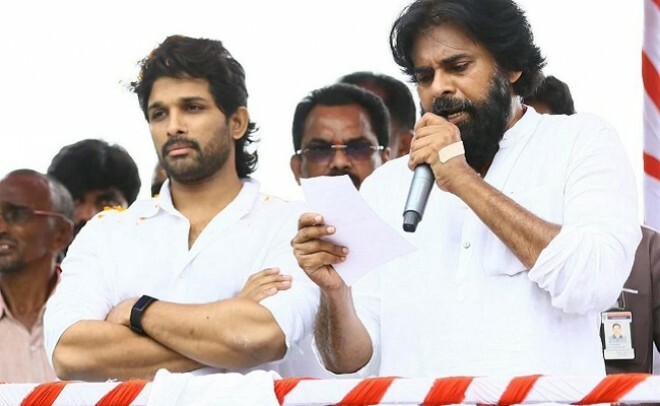 Other Tollywood stars like comedian Ali, veteran actor Mohan Babu, Jayasudha, Jeevitha, Rajasehkar and Prudhvi did their canvassing for YS Jagan's party. Posani, anchor Shyamala and others also lent their support to YSRC party during these canvassing period. For TDP, Surekha Vani did her bit on the last day. Besides the usual suspects like Balakrishna, Venu Madhav and Divya Vani, no major stars from Tollywood did campaigning for Telugu Desam party. Nara Rohith did his part though. In Telangana, only hero Venu was the sole star who did campaign for TRS.